Ten years ago, it would have been hard to find anyone to question the wisdom and morality of the rich world giving billions of dollars in help to the poor world. A generation reared on Live Aid held these truths to be self-evident. Now, the intellectual trend is all the other way. Streams of economists, politicians and even disillusioned do-gooders have penned powerful critiques of every aspect of aid and the aid industry; men like Paul Collier, William Easterly and Robert Calderisi. Even the high priests of aid, pop stars such as Bono and Bob Geldolf, now preach a much more nuanced and complex gospel than they did in the 1980s. Yet the intellectual arguments about aid are still conducted largely within a small circle of Western white men. So it is good to welcome a new voice to the debate, and a black African woman, too, Dambisa Moyo, a Zambian economist at Goldman Sachs. It is remarkable that so few voices have been raised in Africa, supposedly the main beneficiary of the world’s largesse, about how the aid money should be spent, or even whether it should be received at all.Unfortunately, Moyo’s contribution ends there, for “Dead Aid” does not move the debate along much. Yes, she has joined the chorus of disapproval — and that in itself might surprise a few diehards who think that Africans should just be grateful for the aid and shut up. But her arguments are scarcely original and her plodding prose makes her the least stylish of the critics. Moreover, she overstates her case, almost to the point of caricature. There is almost nobody left, even in the aid lobby, who seriously thinks bilateral (government-to-government) aid is the sole answer to world poverty, as she suggests. “Trade, not aid” is only one of several newish mantras among aidniks that seem to have passed her by. Nonetheless, Moyo is right to argue that the rich world — and Africa — should now focus on other ways of helping poor countries. Moyo shows how some countries, such as Ghana, have successfully tapped the bond markets for funds. She also has good discussions on the virtues of microfinance, venture capital and liberalizing trade. By concentrating on these three, African governments might well raise more money on their own; some might even lessen their dependence on aid. Private investors will always require good governance to ensure their dollars are not misused. This “trumps all,” argues Moyo. She won’t find many Africans who disagree with that. But getting governments like Nigeria’s or Kenya’s actually to walk the talk has proved a much tougher proposition. 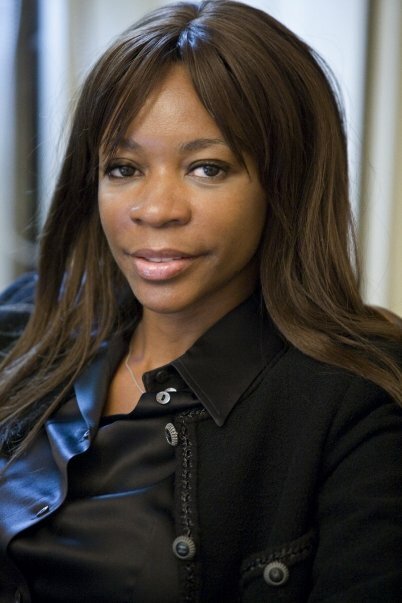 Dambisa Moyo was born and raised in Zambia, Southern Africa. She completed a PhD in Economics at Oxford University and holds a Masters from Harvard University. She completed a Bachelors degree in Chemistry and MBA in Finance at the American University in Washington D.C.
She worked at Goldman Sachs for 8 years in the debt capital markets, hedge fund coverage and in global macroeconomics teams. Previously she worked at the World Bank in Washington D.C. Dambisa was recently nominated to the Board of Lundin Petroleum – a global independent oil and gas exploration and production company. Dambisa is a member of Cambridge University’s Centre for International Business and Management (CIBAM), and the Royal Institute of International Affairs (Chatham House). Dambisa is also a Patron for Absolute Return for Kids (ARK), a hedge fund supported children’s charity, and serves on the Board of the Lundin for Africa Foundation, which pledged US$100 million towards microfinance initiatives. Dambisa argues for more innovative ways for Africa to finance development including trade with China, accessing the capital markets, and microfinance. Dambisa has also been offered a contract for another book, entitled How the West Was Lost, scheduled for publication with Penguin and Farrar, Straus & Giroux in 2010. This book examines the policy errors made in the US and other Western economies which culminated in the 2008 financial crisis. And discusses why financial and economic experts missed the signs of the credit crunch. It also explores the policy decisions that have placed the emerging world- China, Russia and the Middle East, in pole position to become the dominant economic players in the 21st century. Disclaimer: The content of this memo has been modified to fit Zambian Chronicle multi-media format, any legal repercussions deriving therefore shall not be interpreted as misnomers and shall not be the direct responsibility of Zambian Chronicle. And while Zambian Chronicle agrees with the premise thereof, we shall bare no legal responsibilities on any matters arising therefrom. We are totally in agreement with Dambisa because we believe the more dependent we become the less creative as well … thanks a trillion. This is long overdue….Nobody respects beggers. And thats embarrassing. Some people thought our Airport embarrasses them….My View the Begging embarrasses me as a Zambian. Innovation is the key to development. This woman got good ideas…How do we tap into this resource? The fundamentals of African unity used to be in family unity – extended families and clans – with the aforesaid non functional; how can we rely on foreign aid to clean up our own mess when we can’t even unite our own families? Why should foreign Aid pay for a corrupt minister’s benz or is it luxuries? Why should Aid receivers live better lifestyles than Aid donors? Look at the confusion of running Zambian Airways, a company with two small planes; look at the PR related to issues on Privatization of Zamtel! At the end of the day,Aid in most cases is misdirected and ends up in Leopards Hill cemetery… very much dead and may it “RIP” !!! This Lady has taken the bull by it’s horns,she’s a national treasure even if politcians see her as a pain in their sides,we should regard her as such…you should see the tremors she is causing in the western media,the know they are weak and we are strong we must support her in her fight,she would have just sat back and do nothing,but no she stood up as a fighter and brought it to the fore for the world to see,so africans here is the light how do we harness it? I am so proud of her. Unfortunately, she is a sour grape to our African politicians. I am sure they do not like her. I wish she could come and run for president. That would be fun.I feel so proud, to know that we have Zambian like her, who can stand up , and tell the world the way she sees it. She is a threat to most of them our Zambian Politicians. I have read her book and support her efforts – Dambisa is Brilliant, Beautiful, and Brave!